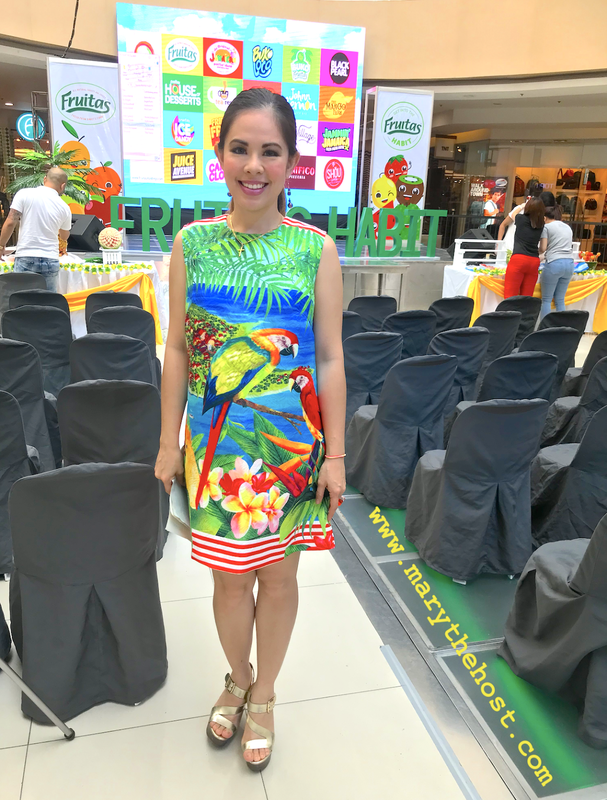 Simply Fruitastic! 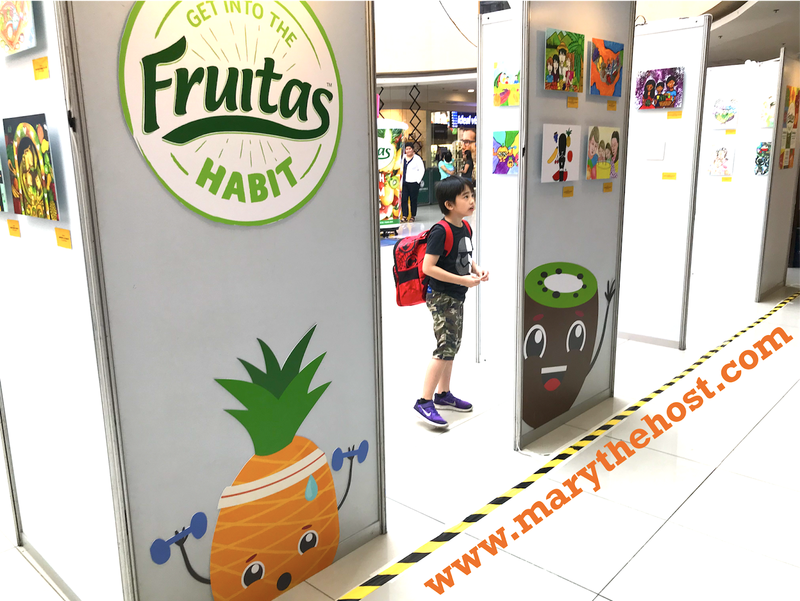 Arts, laughter, fun and yummy treats with Fruitas! Here is another video with me doing some voice-over invites... Watch! Thank you, Fruitas for making me the emcee of your special activity, held at the Fisher Mall, and attended by families who came to learn, play games, have fun and savor only the healthiest and yummiest drinks and snacks from Fruitas! Here's a photo before all the fun and freshness started! Most of all, thank you for letting my precious boy tag along! While I was so happy to be part of the event as its master of ceremonies, he loved the games, activities and most of all, the Kids Fresh Art exhibit! Let's not forget to mention the yummy, healthy fruit buffet! With FRUITAS, we can all do this everyday. Talk about the good life! Do you spot my beloved young man anywhere in the photo below? 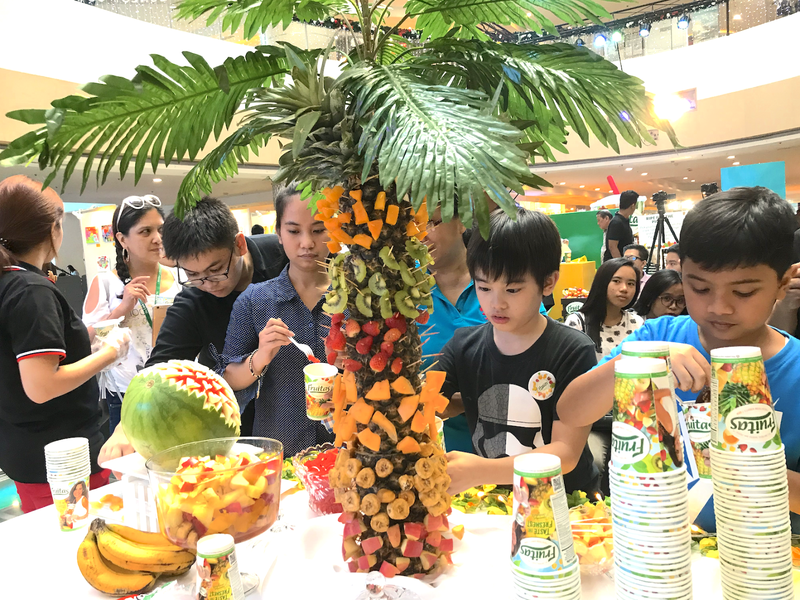 I wonder where he could be hiding... perhaps he ran off to Babot's farm... like us, we hope that you all get into the Fruitas Habit! Thank you Fruitas and thanks to all who visited my blog today! As always, please do click on the following web sources below for more about my passions and crafts... have a healthy day!